1.7.1. Mary Ann PICKERING born c1810. 1.7.2. Jane PICKERING baptised 7 April 1815 Easington, married 4 March 1837 Hollym David PEARSON baptised 7 April 1812 Wawne. 1.7.3. Harriet PICKERING born c1817. 1.7.4. Hannah PICKERING baptised 14 September 1817 Skeffling. 1.7.5. Robert PICKERING agricultural labourer, baptised 21 November 1819 Skeffling, married 1st 1845 Holmpton Jane BIELBY (daughter of Richard BIELBY) born 1829 Ottringham, baptised 9 May 1829 Patrington, married 2nd Mary UNKNOWN. 1.9.1. Michael PICKERING agricultural labourer, born 14 October 1821 Welwick, married 2 November 1844 Sutton Hannah WILKINSON born 8 April 1824 Roos. 1.9.2. Hannah PICKERING baptised 19 August 1825 Roos. 1.9.1.1. Mary Ann PICKERING born 28 March 1843 Burton Pidsea. 1.9.1.2. William PICKERING carter, born 1 January 1845 Roos. 1.9.1.3. Michael PICKERING rullyman, born 24 December 1846 Roos. 1.9.1.4. John PICKERING farmer’s servant, born 3 November 1848 Roos. 1.9.1.5. 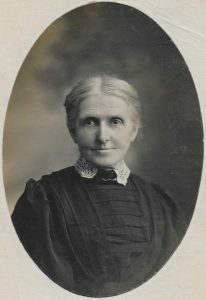 Eliza PICKERING born 20 December 1850 Roos. 1.9.1.6. Samuel PICKERING born 11 August 1852 Roos, married 1872 Hull Ann Elizabeth NESS born 1853 Paull. 1.9.1.7. Emma PICKERING born 29 April 1854 Roos, died 4 July 1922 Myton, Hull, married J. JACKSON, postman. 1.9.1.8. Jane PICKERING born 28 January 1856 Roos. 1.9.1.9. Isabell PICKERING born 6 January 1858 Roos. 1.9.1.10. Thomas Matthew PICKERING born 15 December 1861 Roos. 1.9.1.11. Alice PICKERING born 30 April 1864 Roos. 1.9.1.12. Francis Marshall PICKERING born 16 October 1867 Roos. 1.9.1.6.1. Elizabeth PICKERING born c1871 Selby, North Yorkshire, England. 1.9.1.6.2. Walter PICKERING born 1872 Sculcoates, Hull, married 1st 30 July 1904 Kimberley, Northern Cape, South Africa Esther FINCHAM born 24 June 1883 Kimberley, Northern Cape, South Africa, died 27 June 1908 Kimberley, Northern Cape, South Africa, married 2nd c1930 South Africa Anna SMITH born 31 May 1903 Zeerust, North West Province, South Africa, died 13 July1935 Cape Town, Western Cape, South Africa. 1.9.1.6.3. John PICKERING labourer, baptised 31 August 1873 Burton Pidsea, married Sculcoates, 1892 Hull Lucy Ann REDFORD. 1.9.1.6.4. Mary Ann PICKERING born 1878 Hull. 1.9.1.6.5. Selina PICKERING born 1881 Hull. 1.9.1.6.2.1. Eliza PICKERING born 1924 Durban, KwaZulu-Natal, South Africa. 1.9.1.6.2.2. Walter PICKERING born 1929 Durban, KwaZulu-Natal, South Africa. 1.9.1.6.2.3. John PICKERING born 1931 Durban, KwaZulu-Natal, South Africa, died 9 February1994 Fleetwood, Lancashire, England, married 1961 Durban, KwaZulu-Natal, South Africa Josephine PEDDLE 1937 Lambeth, London. 1.9.1.6.2.4. Mabel PICKERING born 1902 Kimberley, Northern Cape, South Africa, died 1947 Kimberley, Northern Cape, South Africa. 1.9.1.6.2.5. Esther PICKERING born 1904 Kimberley, Northern Cape, South Africa, died 1975. 1.9.1.6.2.6. Kate PICKERING born 1907 Kimberley, Northern Cape, South Africa. 1.9.1.6.3.1. Mary Ann PICKERING born 1893 Sculcoates, Hull. 1.9.1.6.3.2. Lily PICKERING born 1895 Sculcoates, Hull. 1.9.1.6.3.3. Walter PICKERING born 1897 Sculcoates, Hull. 1.9.1.6.3.4. Nellie PICKERING born 1899 Sculcoates, Hull. 1.9.1.6.3.5. Selina PICKERING born 1902 Sculcoates, Hull. 1.9.1.6.3.6. Emma PICKERING born c1905 Hull. 1.9.1.6.2.3.1. Richard Leo PICKERING born 1963 Durban, Kwazulu-Natal, South Africa.